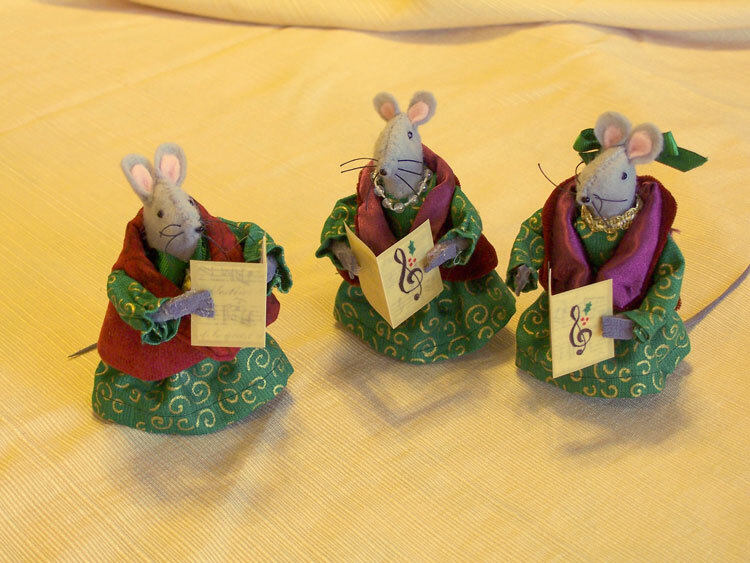 Mice ladies always go Christmas Caroling! 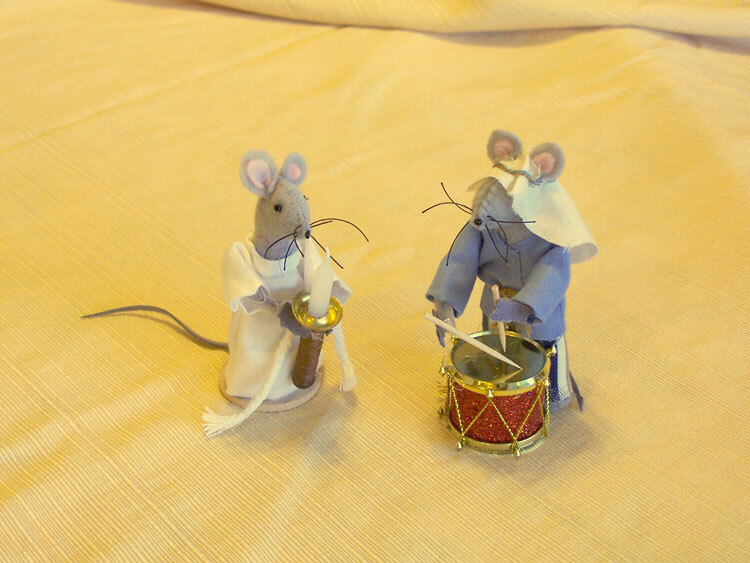 Indispensable to Christmas: Acolytes and Drummer Boys! 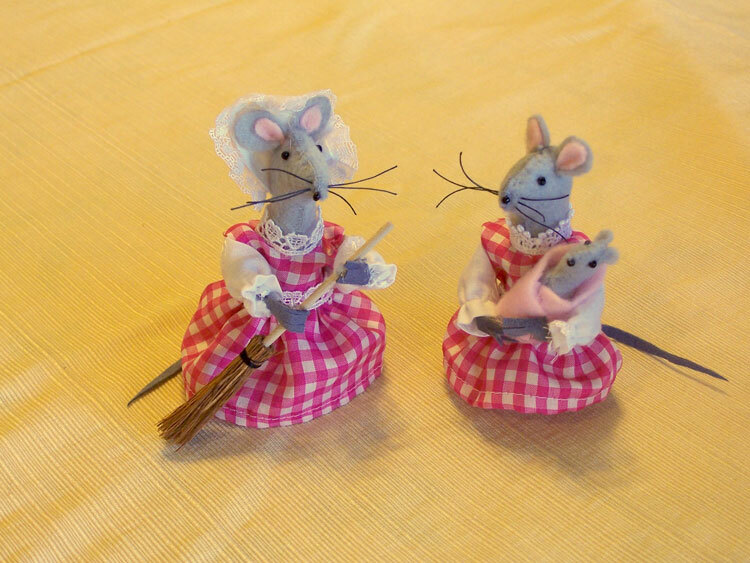 Here we have two very domestic Mice Ladies! 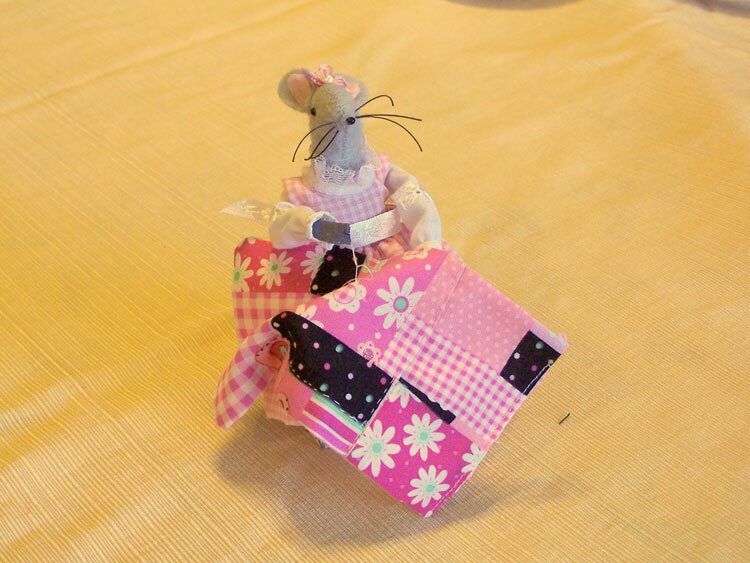 Church Mice Ladies do quilting, too! 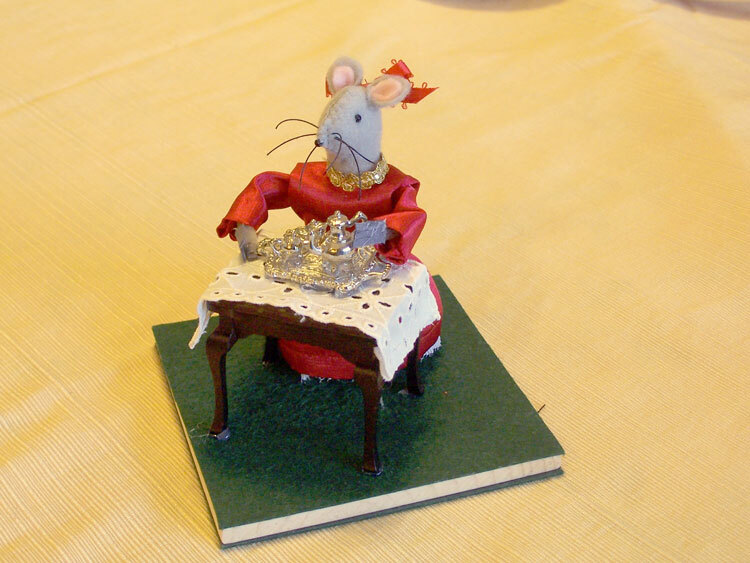 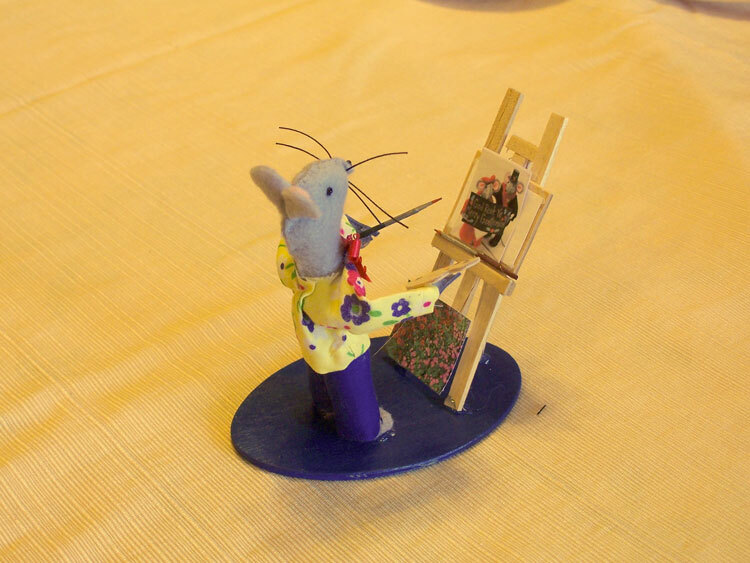 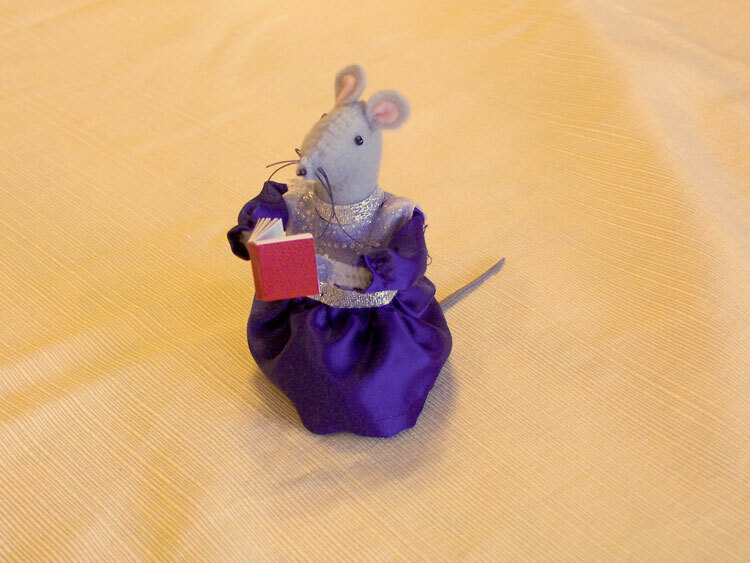 Now, here's a very elegant Church Mouse Lady! 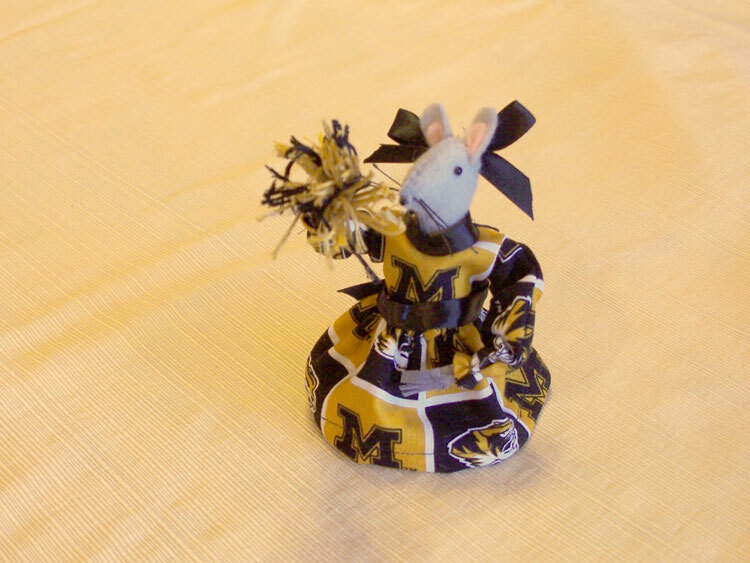 ...and some are Mizzou Golden Girls! 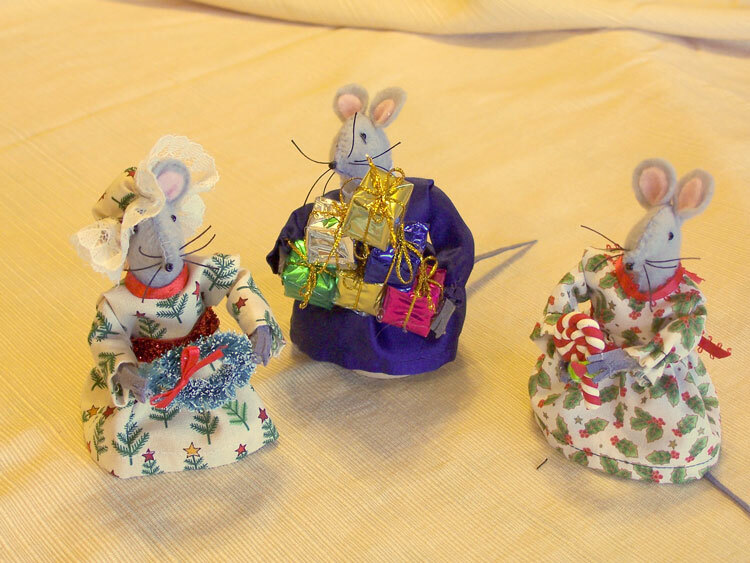 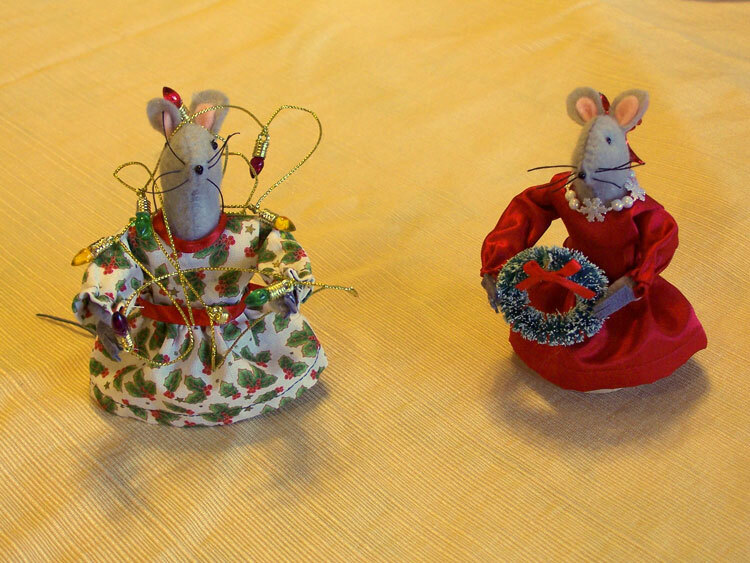 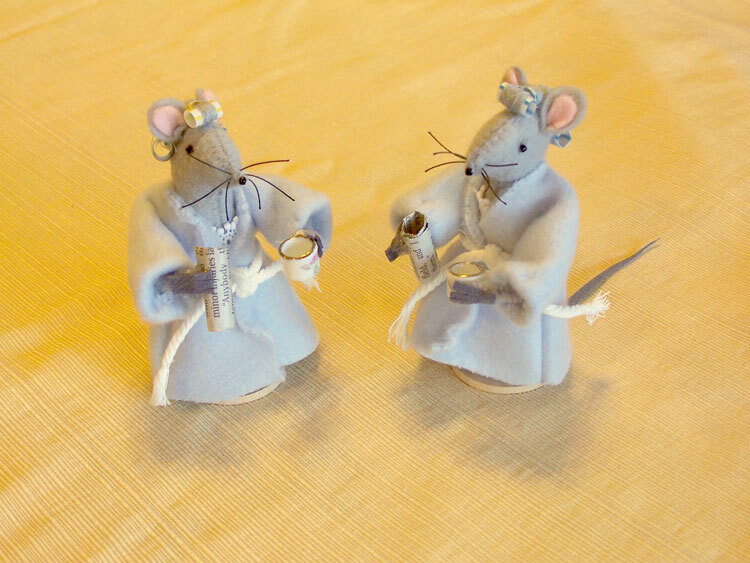 And these mouse ladies are getting ready for Christmas! 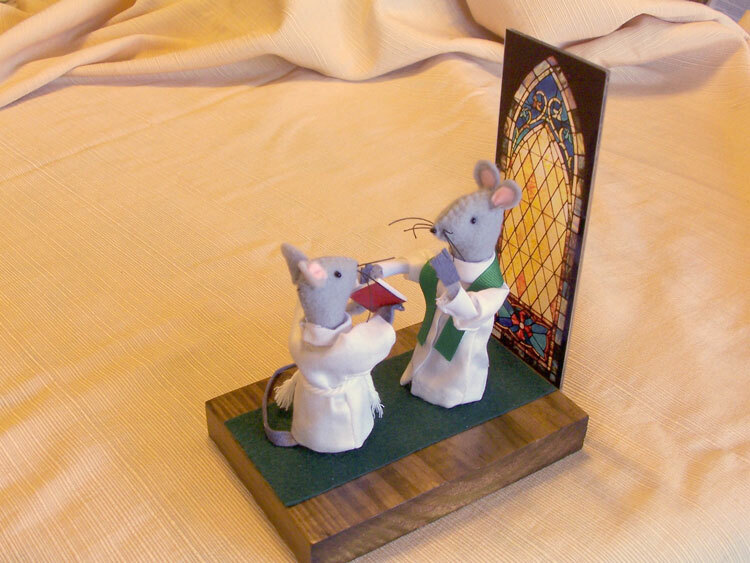 "...starts on page 355 of the red Book of Common Prayer..."